Editor's note: This article has been revised and updated to include a statement from the office of Cook County Assessor Fritz Kaegi, who succeeded Assessor Joseph Berrios, who was assessor at the time the lawsuit in question was first filed. Housing assistance organizations have won the right to continue, for now, with a lawsuit against the Cook County Assessor’s office for past property tax assessment practices they claim discriminated against black and Hispanic homeowners, particularly in Chicago. 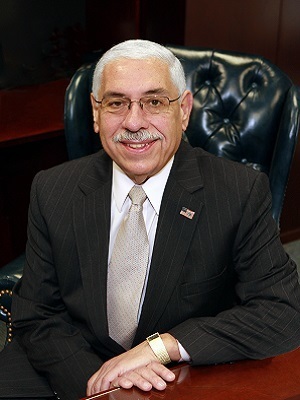 The assessor’s office, formerly under Assessor Joseph Berrios, had attempted to argue the organizations should not be allowed to sue because the organizations themselves were not directly harmed by any assessment practices. The assessor’s office also had asserted the lawsuit was “essentially a tax objection device,” and so should be tried under the Illinois Property Tax Code. Judge Gamrath, however, mostly sided with the neighborhood organizations on the question of whether the legal action should end now. She dismissed the organizations’ attempts to sue using constitutional claims brought under the so-called uniformity clause or the equal protect clause. The lawsuit came on the heels of a series of articles published by the Chicago Tribune and ProPublica, which revealed a purported pattern of over-assessing property in poorer neighborhoods and communities, while under-assessing homes and commercial properties in wealthier areas. That series also noted Berrios’ system has served to enrich politically connected lawyers specializing in property tax assessment appeals, including firms headed by Illinois House Speaker Michael Madigan and Chicago Alderman Ed Burke. Burke was recently indicted by federal prosecutors for allegedly attempting to shake down a Burger King franchisee to steer property tax appeal business to his law firm. Illinois Gov. JB Pritzker was also accused during last year’s gubernatorial campaign of using that system to reduce the property taxes on a home he owns in Chicago. The accusations against Berrios contributed to a lopsided defeat nearly a year ago in the Democratic Primary election to Fritz Kaegi, who now serves as Cook County Assessor. According to the lawsuit filed by the organizations in 2017 against Berrios and his office, the alleged pattern of unequal assessments has meant poorer households – and particularly those in neighborhoods with a predominantly black and Hispanic population – have paid relatively more than they should for their property taxes than property owners in majority white communities. In those communities, the lawsuit asserted, wealthier homeowners can afford to pay lawyers to appeal and reduce their assessments and their tax bills. The lawsuit pointed to data they said showed Chicago neighborhoods with a white population of 30 percent or less were over-assessed by nearly 10 percent, while properties in neighborhoods with a white population of 70 percent or more were routinely under-assessed, by as much as 5 percent, on average. The lawsuit asserted this can mean tax bills for relatively poorer neighborhoods can be hundreds or even thousands of dollars more each year than they should be. The organizations said the practices caused them to spend money and time on dealing with requests for assistance from economically disadvantaged homeowners and renters, whose housing opportunities were diminished by the higher property tax burdens allegedly caused by the alleged discriminatory practices. Judge Gamrath said this gave the organizations standing to sue under the ICRA and FHA, which she said are legal “anomalies” which grant far broader abilities to sue to third parties than are otherwise afforded under the U.S. and Illinois constitutions. She also rejected the assessor’s prior argument the legal action should be considered a property tax dispute, noting the organizations have not requested any tax refunds or reductions for any property owners, but merely for reforms and limits imposed on the assessment practices. While allowing the lawsuit to move forward, the judge cautioned difficulties still may lie ahead. She noted Kaegi has pledged to transform the way the assessor’s office operates, which could moot the suit. “Nonetheless, Plaintiffs are entitled to the chance to prove it” under the ICRA and FHA laws, she said. The plaintiffs have been represented in the action by attorneys with the firms of Miner, Barnhill & Galland, and Hughes, Socol, Piers, Resnick & Dym, both of Chicago, and the Chicago Lawyers’ Committee for Civil Rights. The assessor’s office has been represented by the Cook County State’s Attorney’s Office. "While this case is ongoing, in allowing two of the claims to proceed the judge believes the allegations are such that plaintiffs should have their day in court. No facts in this case have yet been proven. Significantly, the court acknowledged that with Assessor Kaegi's election, the changes his administration has promised on ethics, transparency and fairness - particularly as it relates to new models that will fairly assess homes in all neighborhoods - may mean that these issues will cease to exist and render the case moot. This is our hope and intention as well."